Deck materials and wood carry their own pros and cons, learn how to choose the right wood for you. When you’re planning on adding a deck to your home, one of the most important elements of design, overall aesthetic and budgeting are choosing the right type of wood or material for your project. This can be a complicated step, and it goes far beyond the wood’s natural color. 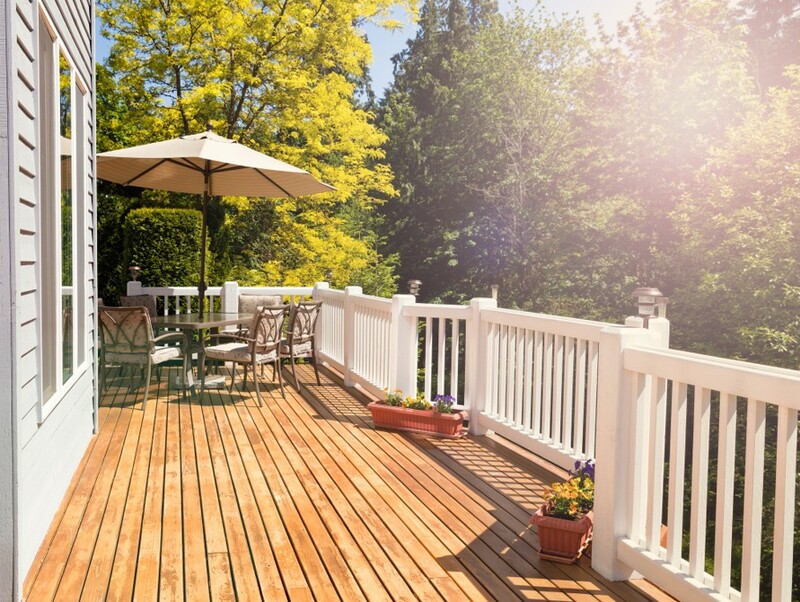 In this article, we’re going to cover a few of the most popular types of wood used in deck construction, weighing the pros and cons of each one. Cedar is a beautiful and strong, durable softwood that provides natural resistance to fire and rot. Red cedar is a very popular option, and if you want to provide extra resistance to fungal decay and termite damage, go for an all-heartwood cedar. Redwood is known for its gorgeous color and its durability. As a softwood, it is subject to some degree of weathering, and over time it will fade from its deep red color to a more yellowish red. The higher the grade, the greater the decay resistance, and as with cedar, an all-heartwood redwood will provide you with the greatest resistance to insect damage and fungal decay. Mahogany is gorgeous, but it’s not worth the money unless you buy real Honduran mahogany, which can be cost prohibitive. Look for wood with a woven-like grain and a course texture. For outdoor projects, you’ll want a brown or medium-dark red mahogany. Lighter colors are less decay-resistant, so save them for indoor projects. Pressure-treated wood has become a much more popular option in recent decades because it offers a greater degree of affordability while enhancing longevity. Pressure-treated woods can vary in quality, but overall, they are long-lasting and are injected with chemical preservatives that help to prevent rotting, decay and termite infestation. The most widely used type of pressure-treated wood is Wolmanized wood, which many people call (not entirely accurately) “preserved wood.” More than 80% of decks in the U.S. are made at least partially of preserved wood, because it is long-lasting, usually warranted by the provider, affordable, and very structurally strong. Tropical hardwoods are also popular, but they can be expensive. 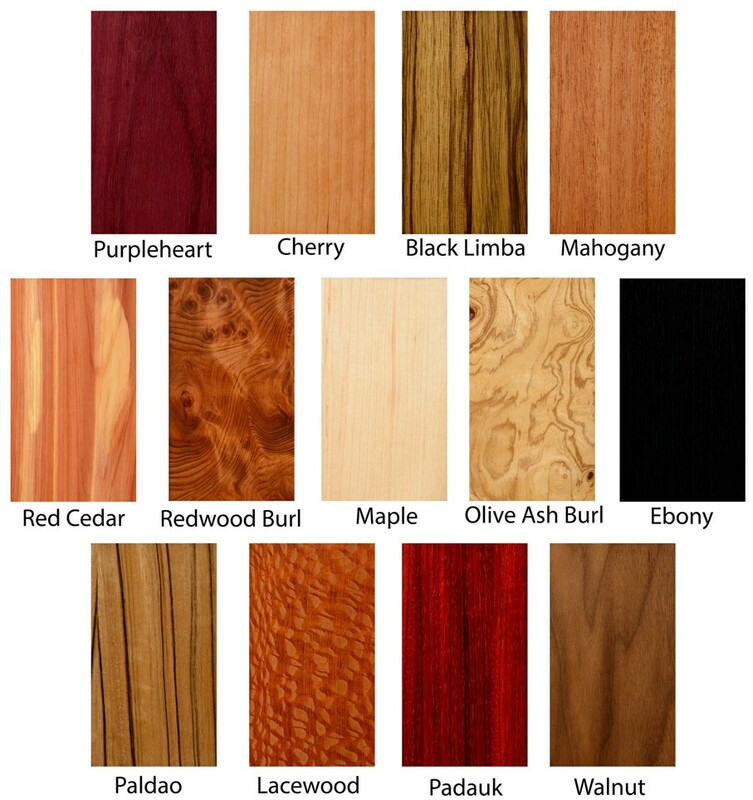 Popular types include ironwood, balau, and the most common, ipe. Ipe is a type of Brazilian walnut and can last up to 100 years or more if properly taken care of. 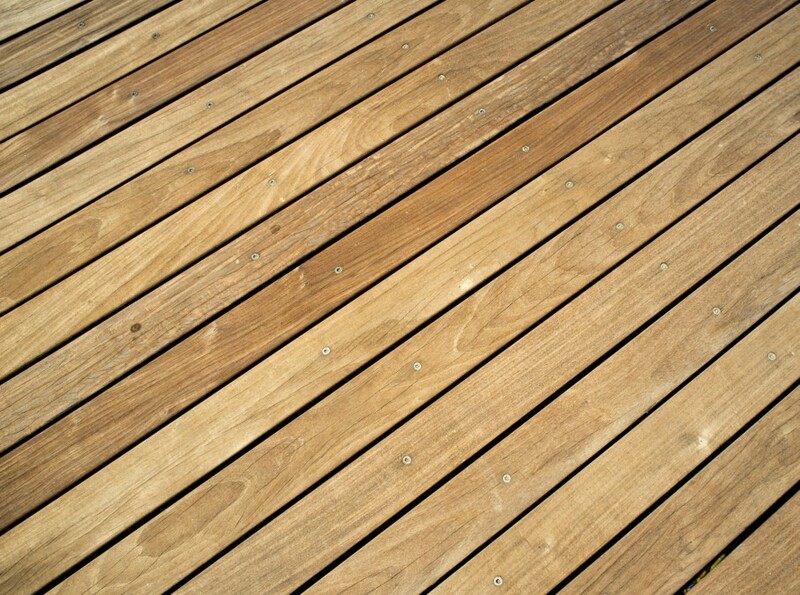 It’s commonly used for docks and boardwalks because it is so moisture- and decay-resistant. The quality of ipe is worth the investment if it’s within your budget, and you can cut come costs by incorporating composites into railings or other areas of the deck. These woods do tend to be soft and are therefore susceptible to denting and damage. They’re also between two and five times more expensive than pressure-treated woods. But overall, they age very well, both aesthetically and structurally, so you’re getting a great deal of attractiveness and longevity out of the investment. A 100% plastic deck could be a great option for you if you’re looking for a low-maintenance and cost-effective material. Plastic is stain-resistant and quite durable; it won’t crack or splinter like other wood, and moisture won’t cause it to warp. The downside to plastic decking is heat. 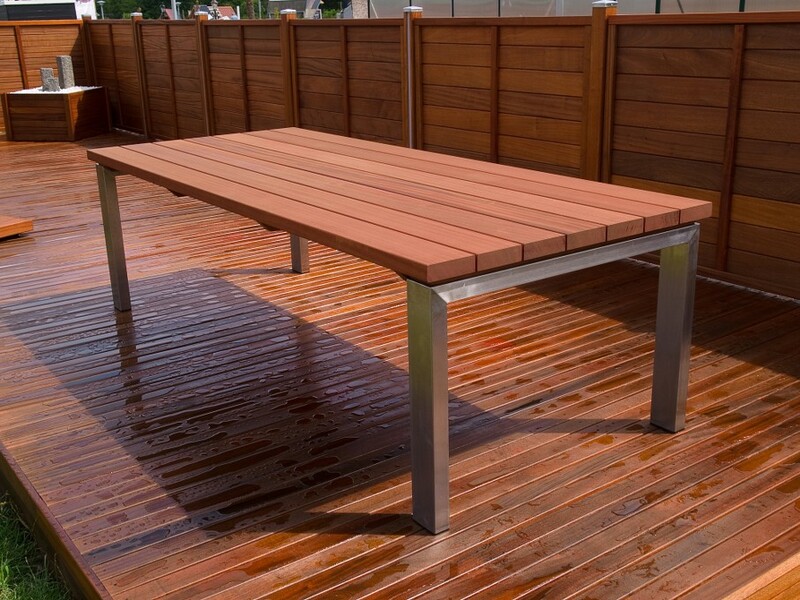 If you live in an area with particularly hot summers, the surface of your plastic decking could become intolerably hot, making it hard to enjoy on those hot summer days. If you have to use plastic in a hot climate, remember: the lighter the color, the less heat it retains; The same goes for wood. A synthetic, recycled or composite combination may be a great option for you as well, especially if you’re looking for low-maintenance and environmentally friendly options. These options don’t require staining, painting or sealing. 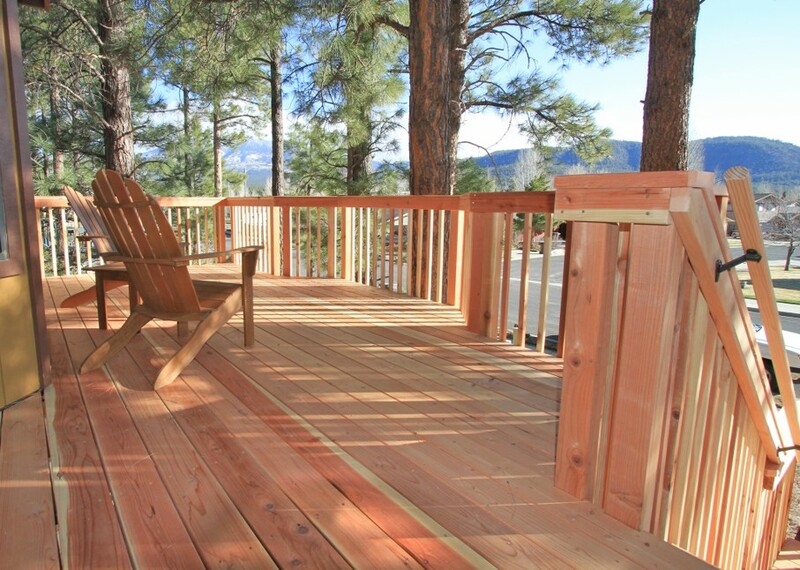 They are durable and long-lasting, and they can be easy to work with if you’re considering building the deck yourself. Composites are made of a combination of plastics and wood fibers, and in some cases, they can raise the cost of your investment over natural wood types. Manufacturing costs can play into this, but another reason is structural stability. A composite can have a greater tendency to sag, and it may need additional structural support to prevent any type of instability. The additional material could raise your costs overall. 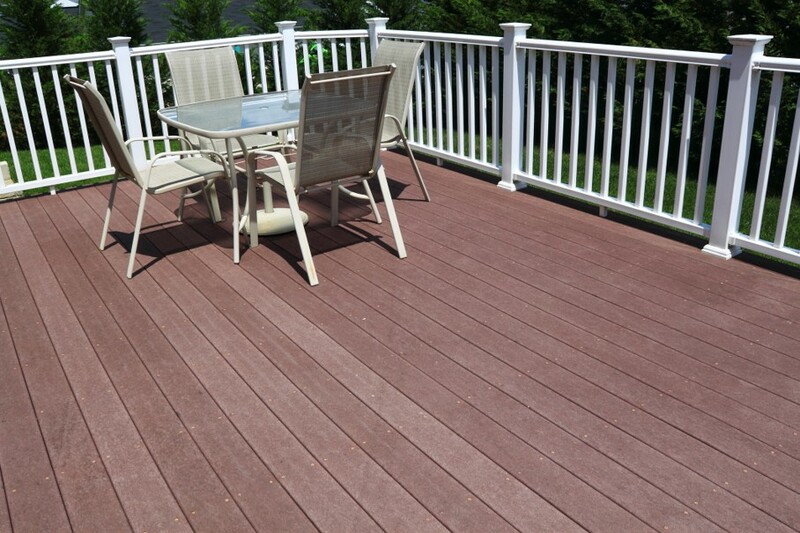 A synthetic decking material is similar to a composite, but it also incorporates other materials such as PVC. For instance, capstock decking is a composite wrapped in PVC. 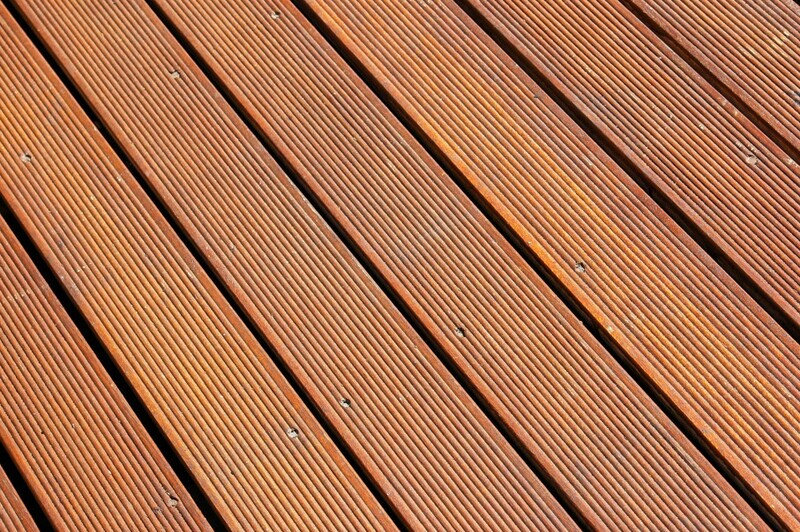 Synthetic or PVC decking products can significantly reduce maintenance and cleaning needs. There’s a lot that goes into the final decision as to what material or combination of materials to use for your deck construction. 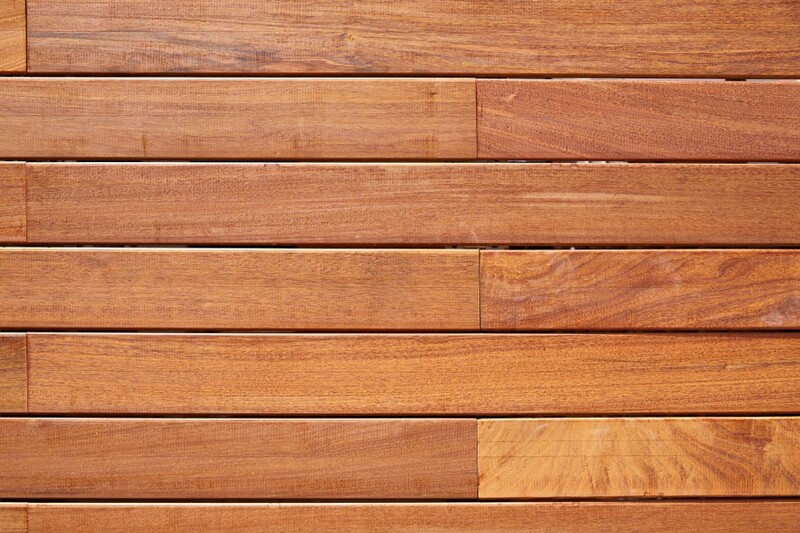 If your priority is long-term attractiveness, you may want to consider a tropical hardwood. If your priority is a combination of longevity and low-maintenance, a plastic or composite decking could be the better choice. Your climate and location are also important – if you live in California, redwood might be the cheapest option overall due to its plentiful availability, and if you’re in a climate with extremely hot summers, you might want to opt for a lighter wood to make it as enjoyable as possible. Hopefully, this brief overview has helped to point you in the right direction as you plan your deck. Have any additional thoughts or question about choosing the right decking? Comment below and join the conversation!